Thanks to everyone who came to the club this year, stayed, and fenced. Below are just a few of the highlights from the past year. 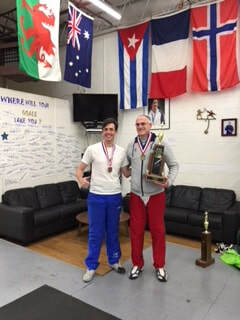 Congratulations go out to Craig Johnson for earning his B17 and a Bronze Medal in the Mixed Veteran Epee Event at the Tom Wright Memorial Veteran Fencing Tournament today. 7 Veteran Women fencers duked-it-out with 21 Men in the Mixed Epee event. The women earned medals based on their finish among the women (regardless of mixed placement, bravo!). Congratulations are also in order to Susan Allen who earned a Silver medal. It is a great day when fencers aged 40+ can get up super early on a Sunday morning and start fencing at 8 am. Talk about winners!!! Speak with Coach Greg as to ability to borrow gear. 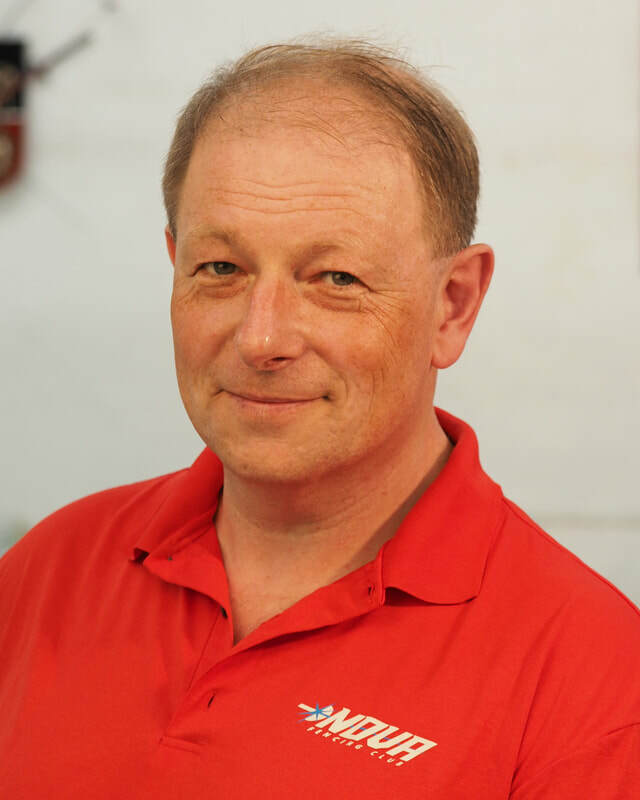 If the child is ready to compete, it is generally time to purchase a complete uniform and electrical gear. A complete uniform is knickers, underarm protector, chest protector, jacket, mask, glove, and socks that reach the knee. Electrical equipment for foil is a lame, mask cord, body cord and two electrical weapons. For Epee a body cord and two electrical weapons are required. Once registered and paid, your fencer should dress, organize their equipment, and warm up without delay. Events usually begin 5-10 minutes after registration for that event closes but may start immediately. Wow, glad you asked! 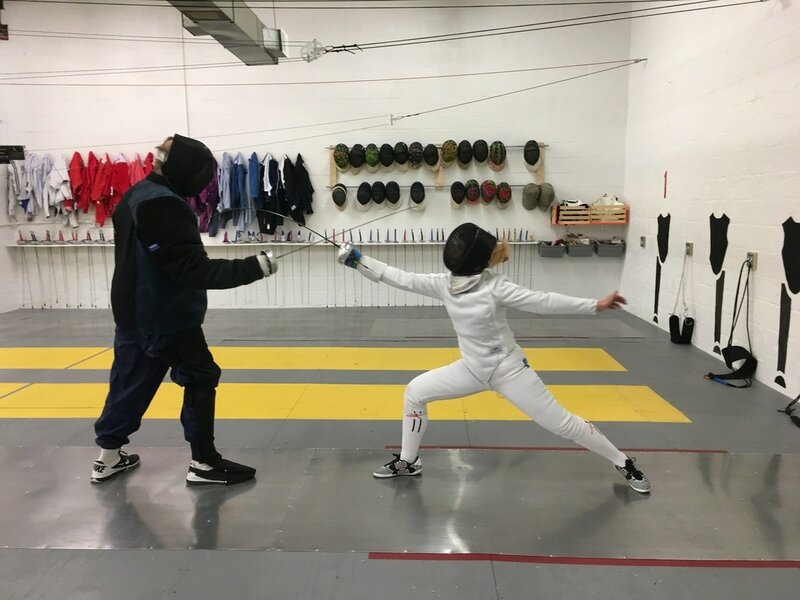 The first thing to know about volunteering at an NOVA tournament is that you really don’t need to know much about fencing to be a big help. In fact, if you’ve read this far, you know more than enough for most jobs! Thanks for reading and we hope you enjoy the tournaments! Set your travel plans now. The National Event Day Schedule has been posted. Find out when registration closes, what events are where, and make your travel plans. 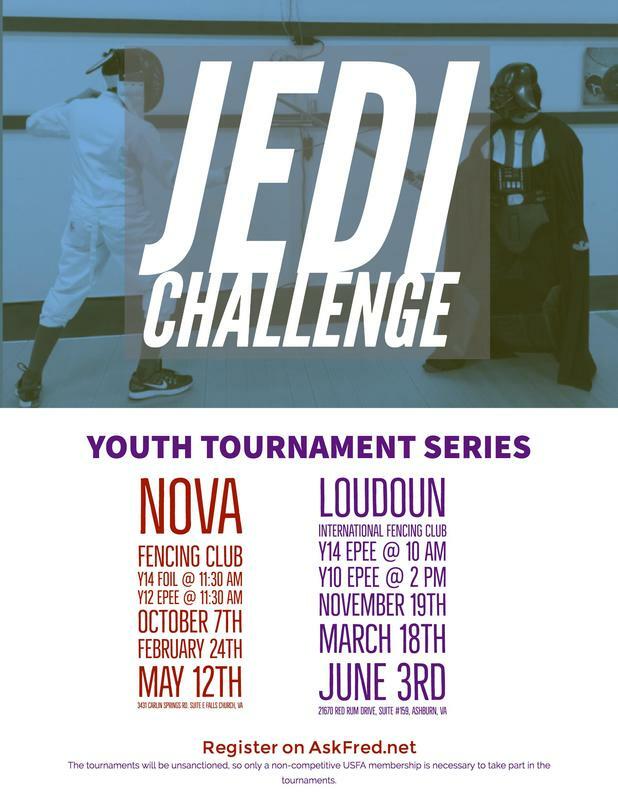 Try fencing at Nova Fencing Club! We are hosting an Open House on April 1 for all ages. FREE mini-classes, discounts and more! ﻿We have fencers Competing in the Junior Olympics This Weekend!!! Jack and Hannah are Fencing in Kansas City this weekend. This competition is USA Fencing's Championships for Juniors/Cadets! All of us here at NOVA Fencing Club are cheering you on! Can you hear us? We are very loud. Click on the link below to follow Jack and Hannah's progress. We are open tonight for fencing. Come and join us! 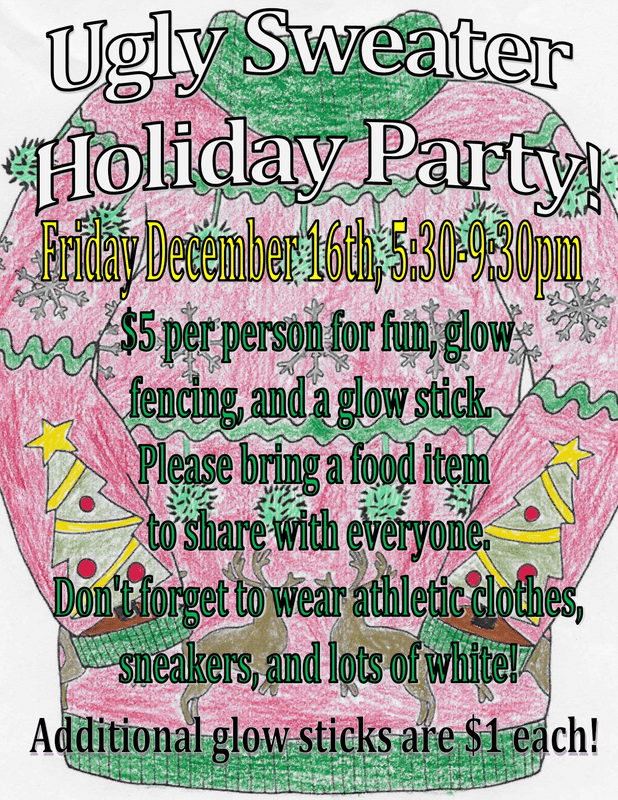 Classes are at the regular time and open fencing starts at 7pm. 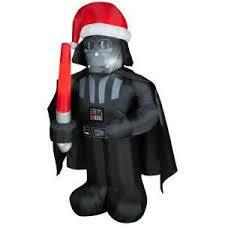 ﻿Santa's Revenge Tournament This Sunday! Click on the link above for details on AskFRED and to sign up. Congratulations to all the fencers that participated in the December NAC in Richmond. We had a great turnout with fencers representing the club in all three weapons. Our highlights include podium finishes in Veterans Women's Epee by Jeannine Prokop and Susan Allen. Jeannine renewed her "D" rating and Susan renewed her "C". On Sunday, December 18, TFC will host the Santa Revenge Tournament (note the Russian accent in the title). 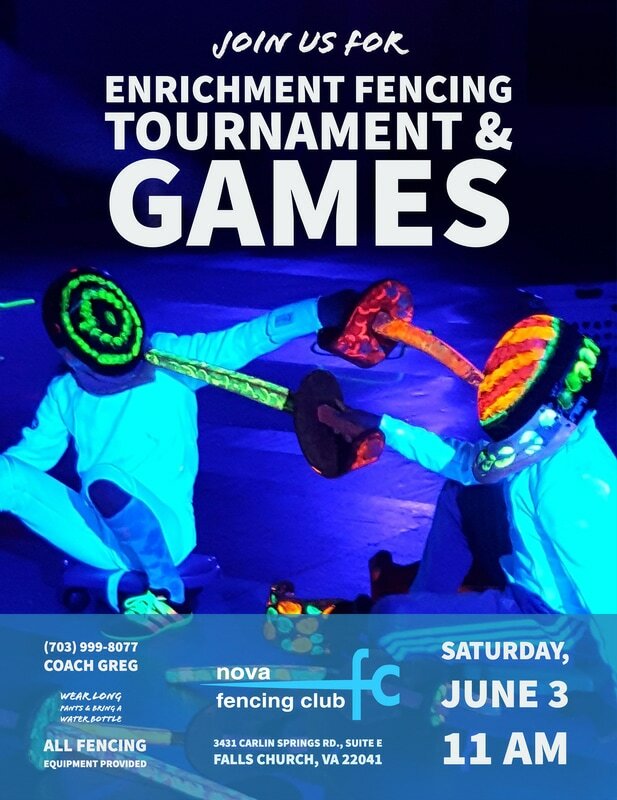 This is a sanctioned tournament and there will be will be “C and under” events for foil, saber and epee (“C and under” means that only fencers with a “C” rating or below may fence. 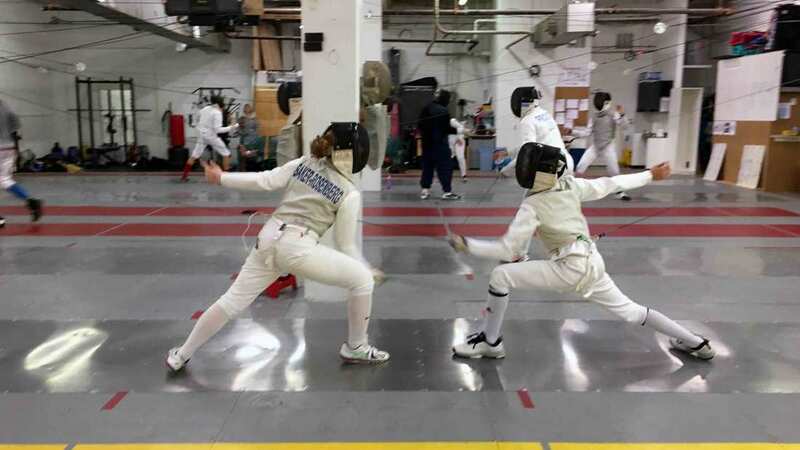 Fencers earn letter ratings at high-level competitions. Generally speaking, the higher the letter, the more advanced the fencer). fencers competing or planning to start competing to set up an account! You will be tested on it! you toward tournaments well-matched to your child’s level of experience. tournaments by clicking “pre-register” for the event you want and then following the prompts. secrets of the AskFred labyrinth! ​Our First Annual Push Ups Challenge is tomorrow! Push Ups Challenge is 4 Days from Today! Our Big Event is 4 days from now! We are warriors helping warriors. The money you raise will Benefit Veterans and Active Duty Military who are suffering from Traumatic Brain Injuries and Post Traumatic Stress. ​How many push ups can you do in 90 seconds? Six More Days until our PushUps Challenge! Only 6 days left until the Big event! Ten days until our Pushups Challenge! ​This is our Annual Charity Event that benefits our Veteran and Active-Duty Service Members. Make sure you have your sponsor forms completed! If you need one, they are available at the club. Sign up to help with the event, tell your friends, bring them to the event. How many push ups can you do in 90 seconds? There are only 18 days left until our Pushups Challenge which is a Charity Event benefiting our Veteran and Active-Duty Service Members.